Sensi is the next evolution in home comfort from Emerson. Emerson has been a top provider of heating and cooling solutions for over 125 years. In fact, the HVAC system in your home probably depends on our parts and products to keep it running smoothly. With Emerson's Sensi line, they've taken their decades of experience, applied the latest connected home technology and empowered you to take control of your home comfort. 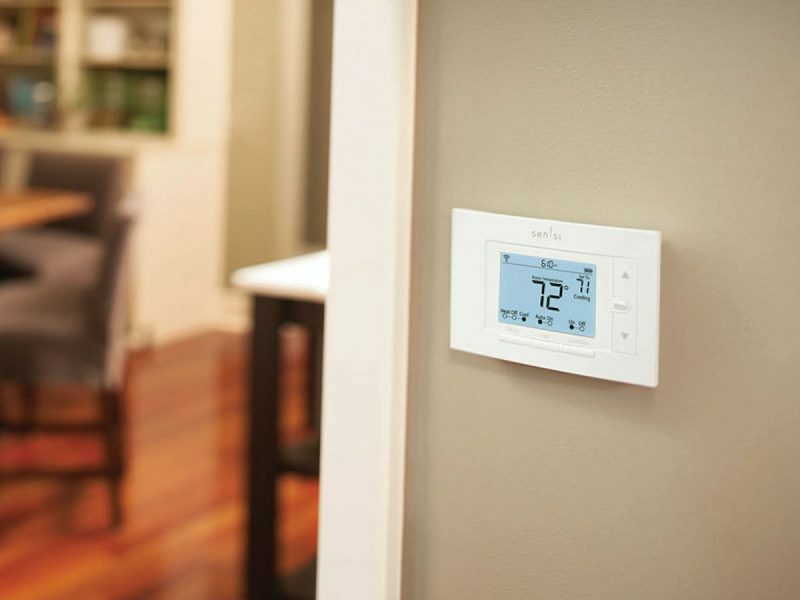 The top-rated Sensi™ Wi-Fi Programmable Thermostat gives you complete control of your comfort. Anytime. Anywhere. Even if you’ve never installed a thermostat, Sensi provides clearly illustrated, in-app instructions that walk you through each step from start to finish. As soon as you’ve installed and connected your thermostat, the Sensi mobile app serves as an intuitive remote control that lets you set, change and schedule your home temperature from anywhere in the world. Sensi thermostat also works with both Amazon Alexa and Wink. Simply plug in and pair to the smart home platform of your choice to seamlessly control all of your connected devices.